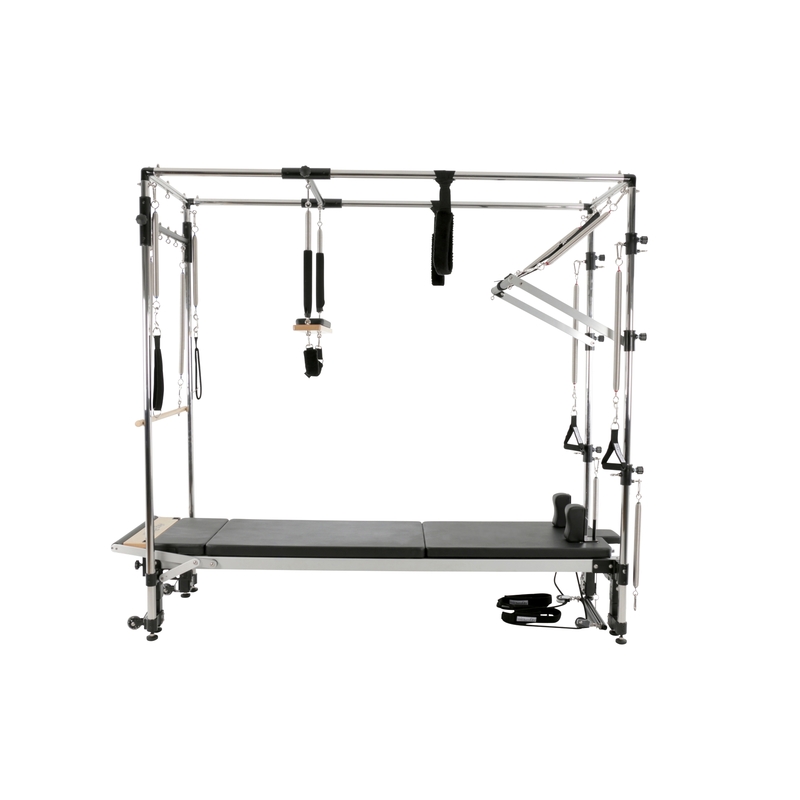 The F1 folds up in a matter of minutes into a compact and self-contained machine that can be easily wheeled around and stored safely out of the way. Removable rope risers with 3 height options & 4 easy rope length adjustments. 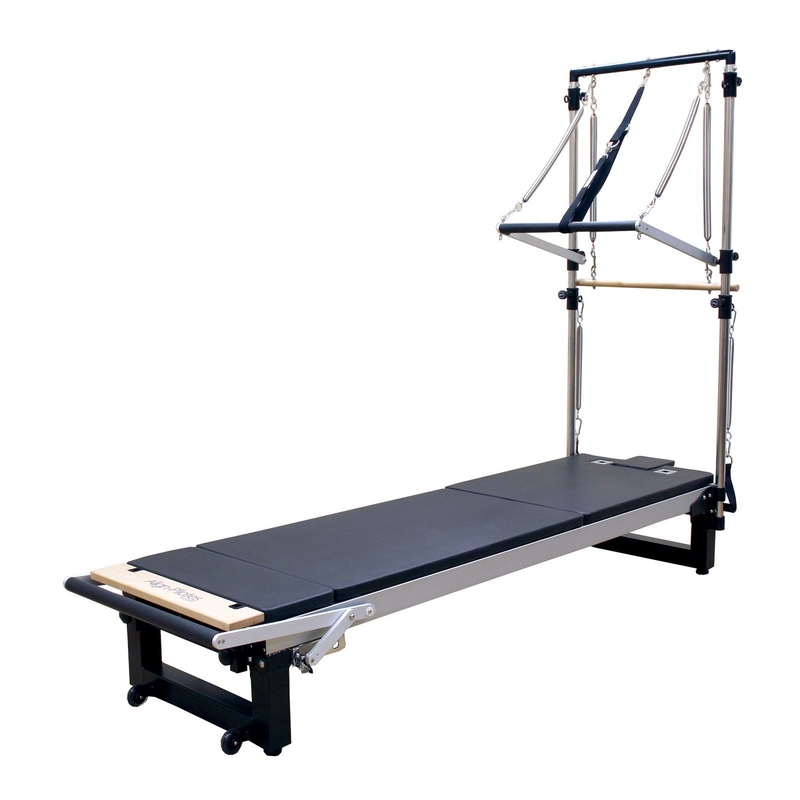 New Align-Pilates double loop handles with “silent” metal free connectors for a quieter workout. 3 position head rest, with locking string for stowage. Steel frame with 8 wheel design. Removable & lockable shoulder rests. Locking bolts to lock reformer both open and closed. 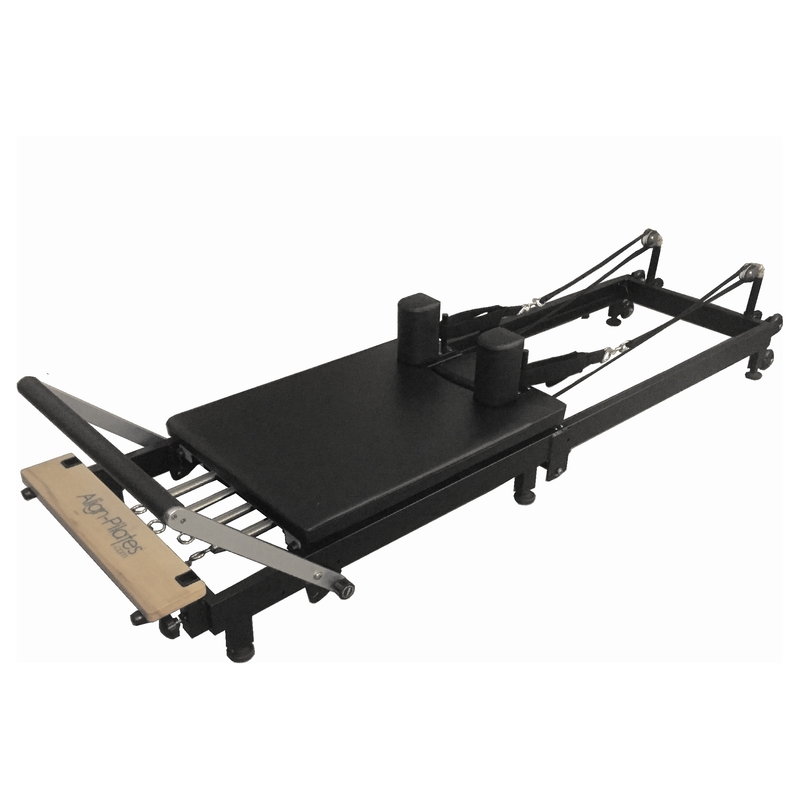 4 Wheels to enable movement of the reformer when open or closed. 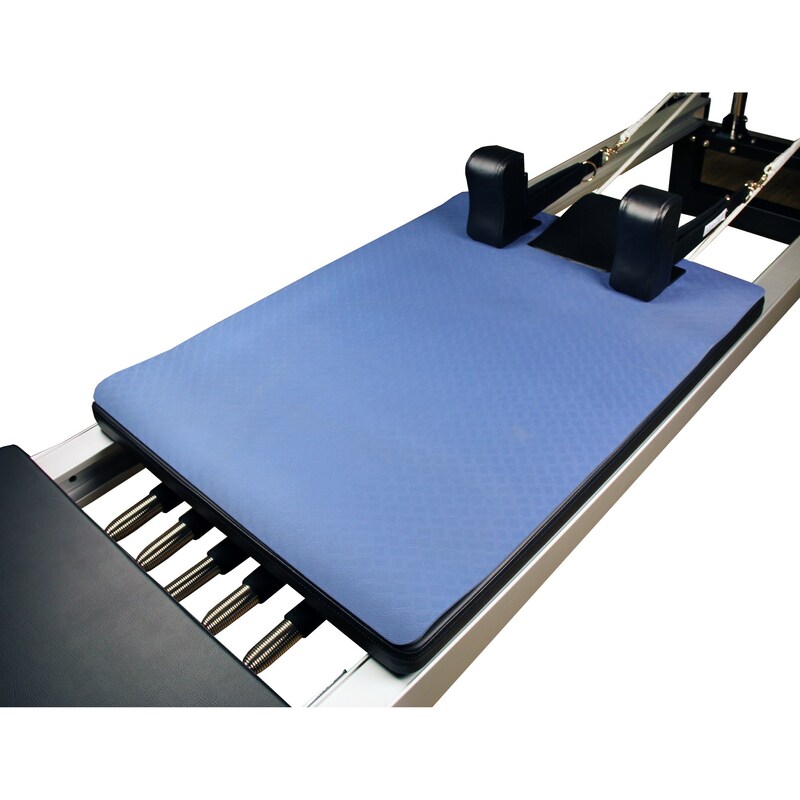 6 adjustable feet to ensure your reformer sits flat and can run smoothly.